Celebrate your love, your way in a Caribbean coastal paradise. 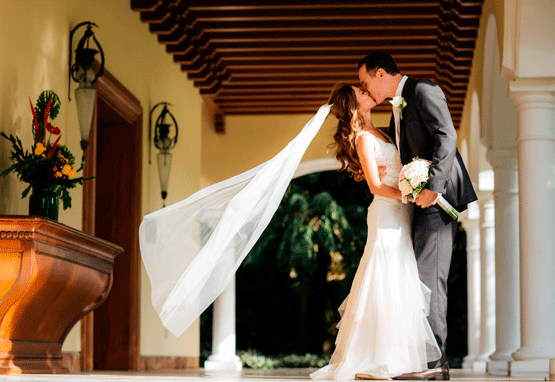 Velas Weddings offers luxurious value-added packages and exquisite venues for destination weddings in Mexico's most iconic beach destinations: Puerto Vallarta, Riviera Nayarit, Riviera Maya, and Los Cabos. 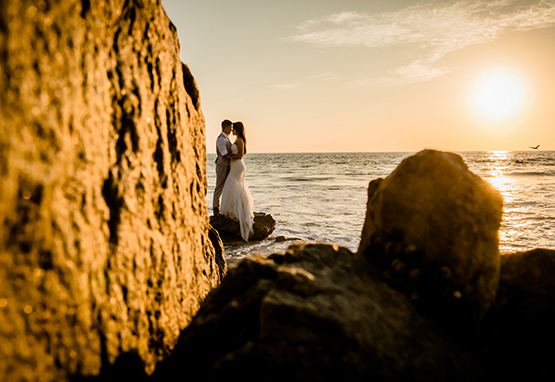 Exchange vows on the beach as the sun sets into the horizon. Say "I do" in a garden along the beachfront or in elegant salons and terraces. Enjoy breakfast in bed with vistas of sand and sea and an unforgettably romantic honeymoon At Velas Resorts, we've created all-inclusive wedding packages devoted to romance and relaxation. 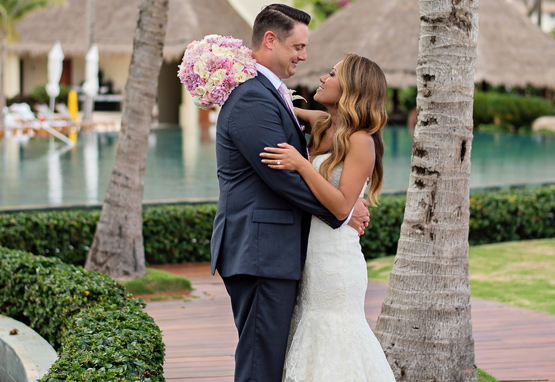 Tie the knot in paradise and embark on a lifetime of love. We'll take care of the rest. Exchange your vows in the magnificent setting of our resort. 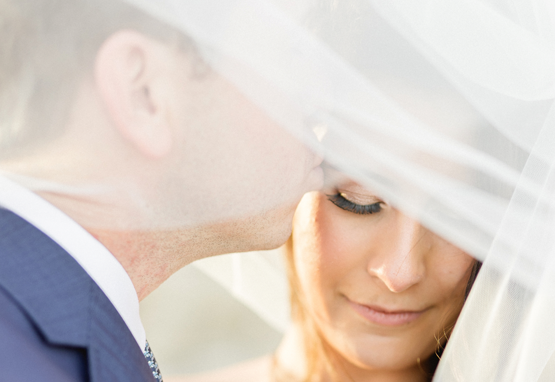 Kiss for the first time as a married couple under a canopy with white veils. Raise a glass with friends surrounded by the romance of Mexico. Terms and Conditions: Included ceremony is strictly symbolic. Please inquire about availability of locations for private events at Velas Resorts. Buffet service applies to parties of 50+ guests. Restrictions apply to suite upgrade to next category. Taxes and service charges included. For more information, please consult your Wedding Coordinator. 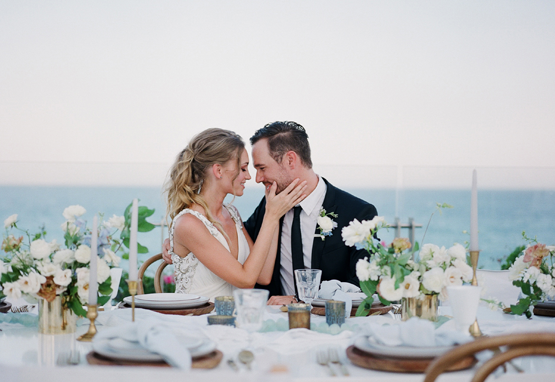 Celebrate the beginning of eternity with a beach side ceremony and reception. Take your vows and toast your love. Gather together with loved ones over exquisite canapés and artisan cocktails. Included ceremony is strictly symbolic. Please inquire about availability of locations for private events at Velas Resorts. Buffet service applies to parties of 50+ guests. Restrictions apply to suite upgrade to next category. Taxes and service charges included. For more information, please consult your Wedding Coordinator. Indulge in our ultimate wedding package. We take care of everything. The venue. the food. the style. Enjoy a cocktail party with canapés, a three-course reception, open bar, and a decadent wedding cake. Exhale and let our personal Wedding Coordinator guide you through your journey. Relax in private preparation suites for the bride and groom on your wedding day. Make sure everything is perfect. True love is eternal. 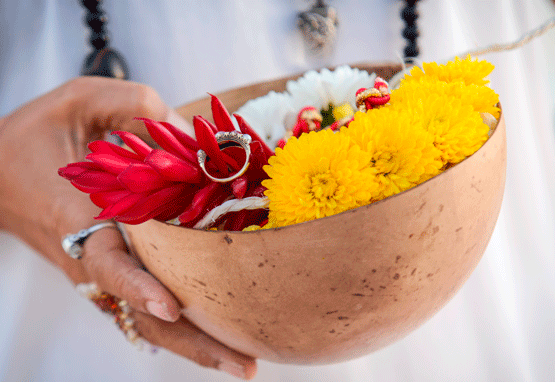 Connect with the spirit of the ancient Maya with this beautiful ceremony, conducted by a Mayan shaman. Seal your timeless bond with a mystical ritual and start your new life together. Plan your wedding in the beautiful Mexican Caribbean with a beautiful ceremony conducted by a Mayan Shaman. Lose yourself in the mesmerizing beauty and turquoise-blue sea of the Riviera Maya. Pamper yourself with a couple's massage and share a romantic dinner on our terrace overlooking the bay. Seal your love in an ancient Mesoamerican ceremony of magic and mysticism. Your shaman will guide you through a purification ritual with traditional music, incense, feathers, flowers, and fire. 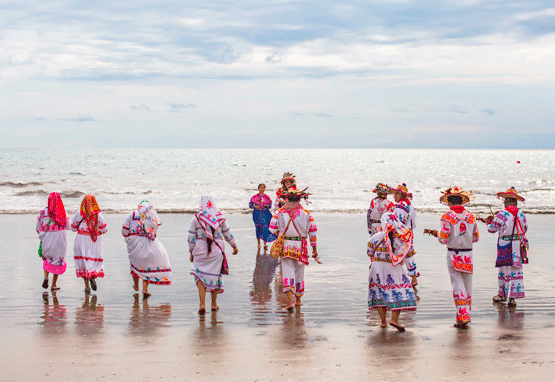 Enjoy an ancient ceremony surrounded by natural beauty of the Mexican Pacific. For the celebration, the bride and groom dress in white. The Marakame "Huichol Chaman" makes a fire, and this magical ambiance includes copal incense, flowers and feathers. The wedding couple dresses in white walk around the fire to purify their souls while musicians are playing traditional songs. In front of the couple, the shaman or Huichol priest will conduct the ceremony and bless them. The bride and groom join hands as one through a knot and pray for a good marriage. The union of the couple is sealed with the exchange of food or special dish prepared by our chef. 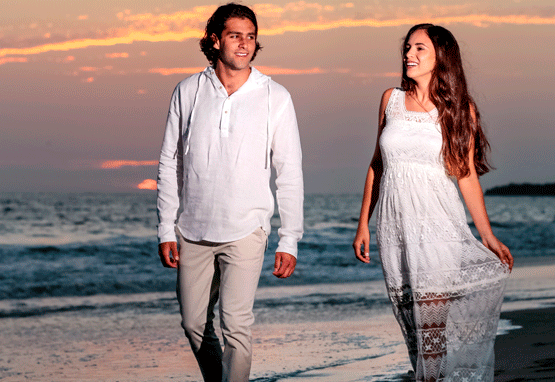 Enjoy enchanting sunset walks along the soft, sugar-sand beach. Relish sumptuous world cuisine and breathtaking views. Relax at the spa with a couple's massage. Bask in the warmth of your love. Experience your honeymoon in Cabo. Share breakfasts in bed, connect with a couple's massage, and enjoy romantic dinners with spectacular views of the sunset. Create memories to treasure forever. Embark on a sunset cruise across Banderas Bay and be mesmerized by the glittering lights of the coastline. Unwind afterward on the beach and follow a torch-lit path to your dinner by candlelight. Enjoy a voyage under starry skies as the torches guide you to the beautiful beach on Las Caletas, where the ocean laps at your feet, palms sway and music mingles with the jungle song as you follow a torch-lit path. Enticing aromas lure you to beach tables bathed in the glow of candles, where you enjoy fresh local cuisine. Spend your first night as a married couple in our most expansive and luxurious suite. Celebrate with a lavish wedding package loaded with all the elements of romance and indulgence. Flickering torches, gentle waves, and soothing music mingle with the song of the jungle in your beautiful beach hideaway. Indulge in a romantic candlelight dinner together under the stars. Experience the Rhythms of the Night in Puerto Vallarta! Take a romantic sunset tour to Las Caletas, a beautiful beach hideaway on Banderas Bay. Rhythm of the Night is a journey that will transport you to a spiritual place, where mysticism and legend come to life. Flickering torches, soothing music, and local cuisine set the mood. Enjoy a candlelit dinner for two, unlimited cocktails, live pre-Hispanic music and dance performances on a spectacular beach.